Pinot Noir remains one of the most food-friendly red wine grapes. It's versatile enough for completing a wide variety of meals, light enough to woo "non-red-wine" drinkers, and priced from $6 to $50 and up, so there's something for every​ budget. In fact, with a little scouting, it's possible to find some good, value-driven Pinot Noir for less than $15! The recommendations here focus on producers that strive for consistent quality Pinot Noir year after year, with an eye on entry-level, budget-friendly wines. Ripe cherry fruit with a touch of warm spice and a dash of vanilla in the mix, Shoofly's Pinot Noir is a favorite budget-friendly Pinot pick for its easy-going palate personality, bottle balance, and extreme food-pairing affections. A super-value Pinot Noir from one of Oregon's largest producers, this Pinot Noir has remarkable fruit on the nose with ripe raspberry and cherry vying for attention. The palate flavors center on cranberry and cherry fruit with a soft tannin structure and engaging finish. Perfect for picnics! Looking for a bargain from Burgundy? Then look no further than this Bouchard Aine & Fils red Burgundy find. Made exclusively from Pinot Noir grapes, this particular wine offers up some unexpected floral notes along with bright red berry fruit, and a keen focus on Bing cherry. Balanced acidity, earthy undertones, understated oak influences, and a lighter body along with a subtle tannin structure make this a top pick for value wines from the famed Burgundy region. Versatile and food-friendly, give this red a whirl with everything from roasted game to poultry and smoked salmon. Mark West Pinot Noir is a fantastic value wine find. This particular ruby colored Pinot presents ripe raspberry aromas and delicious cherry fruit on the palate with a dash of vanilla. It is a medium-bodied, silky smooth red wine that offers a tremendous amount of food versatility. 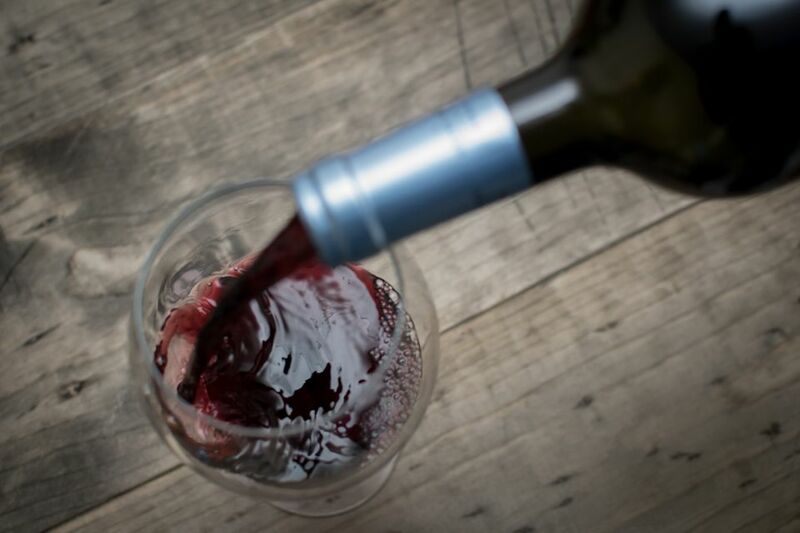 This well-priced Pinot Noir from Hahn Estates promises plenty of ripe raspberry and bright cherry on the nose mixed with earthy undertones and sweet vanilla spice. The palate profile is brimming with a triple berry blend of raspberry, strawberry, and Bing cherry with silky textures and a medium-bodied style. Perfect for pairing with a variety of summertime favorites, this particular Pinot will bring out the best in grilled pork, poultry, or even portabello mushroom. This particular Pinot Noir is always a party-pleaser. Easy on the palate with fresh cherry and strawberry-based fruit and super-subtle tannin, even our "white wine only" guests find a friend in Mirassou Pinot. The DeLoach Heritage Pinot Noir is a remarkable value wine, a medium-bodied red wine with cherry cola and strawberry jam in the palate mix. This wine is well-balanced, well-priced, and well-distributed, making it a perfect wine for a wide range of occasions. Another solid Pinot Noir from this relative newcomer but fast-growing brand out of California. Expect a full, silky mouthfeel with hints of cherry cola, spice, and moderate acidity. From Victoria, the heart of Pinot-growing in Australia, this brightly acidic wine is crafted to complement farm-raised meats. You'll enjoy its freshness, full fruit, and noticeable oak taste when paired with the distinctively soft texture and richness of farm- and grass-fed meat dishes.